Inside Shubigi Rao, ‘Pulp II: A Visual Bibliography of the Banished Book’ (Singapore: Rock Paper Fire 2018). Image courtesy of Objectifs Centre for Photography and Film, Singapore. Shubigi Rao, Pulp II: A Visual Bibliography of the Banished Book’ (Singapore: Rock Paper Fire 2018). Image courtesy of Objectifs Centre for Photography and Film, Singapore. Reeling in from receiving the Juror's Choice Award at the 2018 Signature Art Prize for her installation ‘Pulp: A Short Biography of the Banished Book. 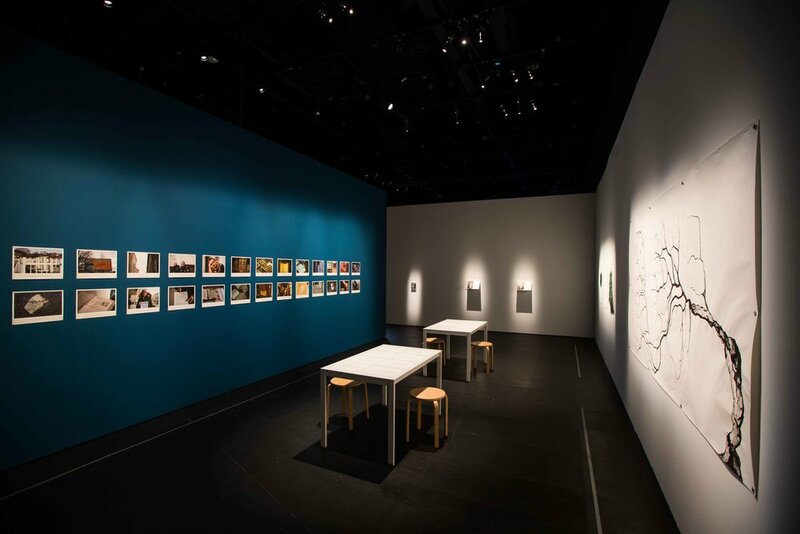 Vol I: Written in the Margins (2014–2016)’, Singaporean artist Shubigi Rao released the second volume in this ten-year project in August 2018, at Objectifs, Centre for Photography and Film, Singapore. Published by Rock Paper Fire, it continues Rao's research on the history of book and library destruction as well as the book as symbol of activism and resistance. 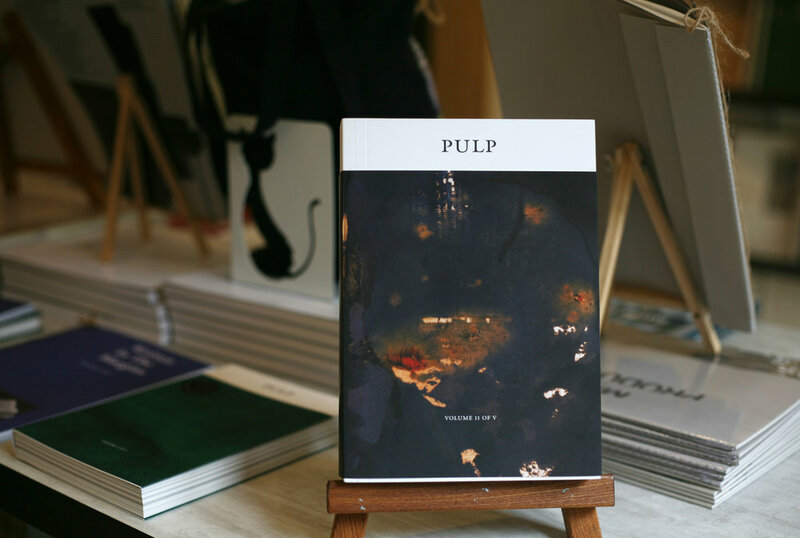 ‘Pulp’ is a film, art and book project, which includes five book volumes, each to be published every two years. "… all this talk about books is an obvious front for other things – the art of storytelling, community and solidarity, activism and strategies for resistance on one side, and on the other, the various specters of abuse, trauma, dispossession, and the massive forces of populist pressure, state diktats, ideological partisanship, and historical inevitability." Shubigi Rao in her installation at the 2018 Signature Art Prize exhibition. Image courtesy of Singapore Art Museum. Story-telling can be difficult, especially if one is disadvantaged or silenced; but it can also entail dealing with feelings of loss without resolution. Rao posits story-telling as a form of resistance and a collaborative act of trust that can be regenerative and reformative. Thus, the core of ‘Pulp II’ is dedicated to the accounts of individuals who in their own capacities were defenders and supporters of print and open access to knowledge. They include stories of the firefighters, librarians and volunteers who, during Seige of Saravoje, fought to save books from the Vijećnica (majority lost with the library's complete destruction); as well as writers and educators speaking to language politics in the regions of former Yugoslavia. Even though these narratives are presented in fragments, they do almost become a refrain due to the similarity of these experiences. At certain points, one might find it difficult to carry on reading because of the emotional buildup or monotony weighing down the pace. The utopian ideal Rao and these interviewees champion is for the public library to remain a source of commons and a welcoming safe space for all. However, they also acknowledge that it is the battleground for questioning the forms and genres that are privileged to enter and those that aren't or become written off for various reasons (practical or ideological). The path to hell can be paved with good intentions, evidenced by the destruction of manuscripts as collateral damage in the haste to digitalise or the vulnerability of total loss as large collections make easy targets for attack. Rao doesn't claim to have an answer to these questions, but by examining their complex tangled networks and the power dynamics at play, one could perhaps begin to form their opinion on the matter. Where the syntax of the archive can often seem sterile, cold and "objective", her project puts at the foreground these interviewees' perspectives and lived experiences. It is unapologetically emotive, demanding empathy as the connective tissue for relating to another. Traces of a personal voice and hand are apparent throughout: the text and handwritten notes along its margins (for voices at the periphery); the photography, often shot at eye level or close up, never a wide capture; and lastly, spilling into subconscious half-formed thoughts in ink and watercolour. In many ways, Rao tapped into the best experience reading a printed book can offer: the textures of intimacy found between pages. The effect of laying out its components in her installation ‘Written in the Margins’ gave this content an entirely different sense of scale and temporality, but most notably, a slight withdrawal of Rao's authorial presence. Shubigi Rao, ‘Pulp: A Short Biography of the Banished Book. Vol I: Written in the Margins (2014–2016)’, 2014-16, film clips, giclée prints with text, ink drawings, artist's book and table with three texts, dimensions variable. Image courtesy of Singapore Art Museum. What an inter-disciplinary project like 'Pulp' puts forth too are the many roles and hats an artist needs to wear, the labours which do not necessarily see financial returns. Besides the generosity of interviewees who shared their stories, Rao cites the support of institutions such as the National Arts Council of Singapore which was how the project begun as well as the role of fully-funded residencies played thus far. They include the Kunstlerhaus Bethanien, Berlin (a year from 2016-17) that acted as a base of operation for her research in Europe; and NTU Centre for Contemporary Art, Singapore (late 2015 to early 2016) which gave her the time and space to finish the first volume. It might not be too far a stretch to say that true to the spirit of this project, it is built on idealism and commitment. This applied not only to Rao but also the intangible networks of support behind her: from larger institutions to the designers, printers, long-term relationships with individuals, not to mention a growing audience invested to follow 'Pulp' as it enters its middle phase. Rao has found a way to deliver on a type of work that is not found by finality or "end-product" yet purvey a form of engagement in her process, in knowledge production and network-building. This is exactly what a bibliography does.